Check back frequently to learn about resources for health professionals and students pursuing health careers. Do you have resources to share? Learn how to contribute. Need help repaying your medical school loans? Are you interested in exploring a health career in a rural setting where your skills are most needed? Find out how the Arizona Primary Care Provider Loan Repayment Program can help. 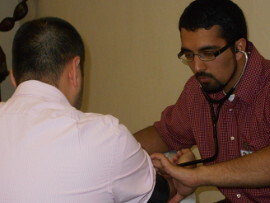 The program aims to promote the recruitment and retention of health care professionals by repaying their qualifying educational loans in exchange for their two-year commitment to provide primary care services in federally designated Health Professional Shortage Areas (HPSA) or Arizona Medically Underserved Areas. (AzMUA)” For more information, Learn how to apply. 3RNet works to improve rural and underserved communities’ access to quality health care through recruitment of physicians and other health care professionals, development of community based recruitment and retention activities, and national advocacy relative to rural and underserved health care workforce issues.